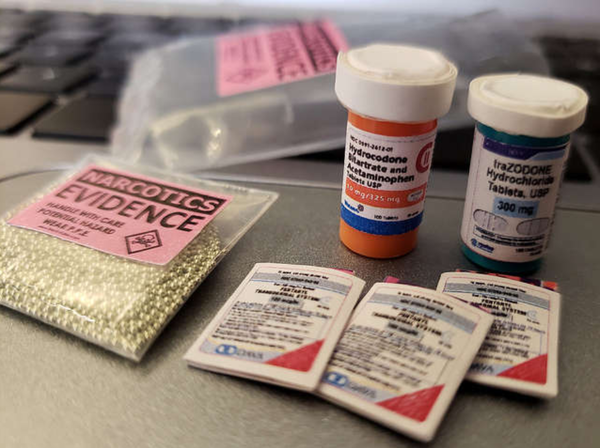 Fentanyl is deadly if police officers and canine units come in contact with it unknowingly. Fentanyl and carfentanil can kill first responders if they come in contact with them while responding to a drug overdose. Researchers at UCF are developing a device to reduce the risk for first responders. Dr. Subith Vasu says the device uses a laser to determine the chemical make-up of an unknown substance. Vasu and his team received a one million dollar grant from the Department of Defense to develop the test. The Department of Justice says fentanyl is 50-100 times more potent than morphine while carfentanil can be as much as 10,000 times stronger. Copyright 2018 Health News Florida. To see more, visit Health News Florida.